Looking for a passionate speaker to excite and inspire? 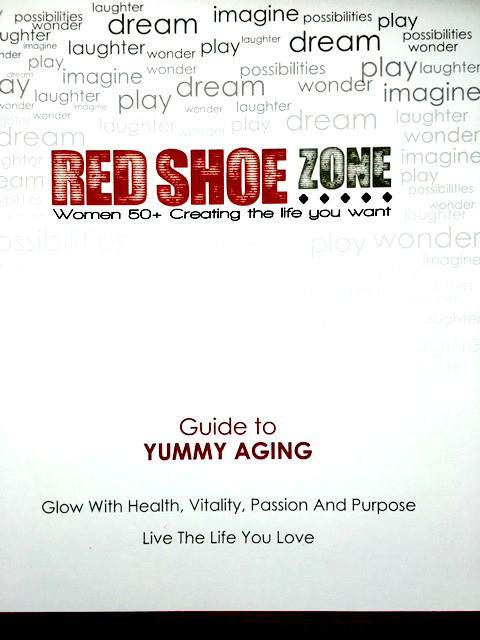 Cheryl’s the one for Women 50+ wanting to rediscover their fearless self and live a life of passion and purpose. With more than two decades in front of the television camera, ten years as a creativity consultant to corporate and educational sectors and her own bumpy ride as a 50+ woman who successfully launched her daughter and then struggled to launch herself, Cheryl has the understanding and expertise to kick start the journey and make it FUN. Her signature style taps into the playful, creative core of the audience where innermost desires, gifts and whispers of the soul can be accessed. Cheryl’s inspirational lectures provide practical, uplifting, simple methods to help women uncover their passions, identify purpose and create the life they Love. Her fresh approach to motivational speaking and interactive workshops offers participants tools and strategies, an easy-to-implement action plan going forward and a community of likeminded women for the journey. Who am I and what the heck do I want? “From the moment that I watched your ‘Fearless (Re)Discovery of You’ presentation at the 55+ Lifestyle Show in Vancouver last October, I knew that we needed to bring you to the Fairmont Chateau Whistler for an upcoming program. You truly had me at ‘hello’. Your bright smile and upbeat personality was engaging, only to be complimented by a masterly crafted presentation. I’d love to connect and hear about your event. Please contact me directly to see if we’re a good fit.